Convert all of your business information to digital files. What comes to mind when you hear the word "technology"? For most of us, it's computers first, followed closely by the Internet. But technology's role in the small business is just as important as marketing and finance. Technology is the ultimate enabler. You can do more in your business and you can do it faster with less error if you incorporate technology in your everyday business operations. Q: How does a small business use technology in the business? A: There's lots of ways and many of them were only available to big businesses up until a short time ago. But new products and plummeting costs have positioned all of us to be more competitive in our respective market places with a minimum investment. We can analyze our inventory and learn what sells and what doesn't, in what quantities, to whom, with what seasonality, at what margin, and just about anything else we might want to know. We can codify the intellectual capital of our organization, protect it, keep it organized and up-to-date, and easily search and retrieve what we need. It's all about the learning continuum, turning data into information and information into knowledge, then using that knowledge as the basis of the decisions we make in operating our businesses. Hence the term: knowledge management. Our challenge as business owners is to figure out what data to store, in what vehicle (data warehousing) and how to access it in such a way that it provides meaningful information that is of real value to us in our business (data mining). We've used a lot of buzz words here; let's look at knowledge management, how it actually works, within a small business. There are a number of things that even the smallest business can do to capture, organize, and make available the intellectual capital of the organization. We'll focus on three here. Establishing a Common Operating Environment (COE). Before you had computers at your office you kept documents in folders in file cabinets. Different people had access to those documents because they needed them to do their work. Sometimes people forgot to return the documents when they were through, and you would scout around the office until you found them. Sometimes two people needed the document at the same time and they would work something out, or make another copy of the document. The point is that every business generates important information, has processes that includes forms and templates, and shares these among a number of employees. Now that you have computers, you still generate documents, you still keep them in folders, folders are kept within folders, and various people have access to them. Electronic filing systems can be vastly superior to paper filing systems if we remember to follow the business practices we used in a paper environment. Do you have documents on your computer or network server that are not in folders? How many? How does that compare to the number of documents you would have tossed into a file cabinet without filing? 1) Establish document naming conventions. As new documents are created, they are named in accordance with organizational policy. People looking for a document would have a good idea of the document name, even if someone else created it. 2) Determine the file structure. Folders within folders within folders. Organizing your information so that documents are easily located. 3) Grant access as appropriate. Security levels and edit rights, determining who can have access to what or not, when to permit "read-only" access, and who is authorized to make changes. 4) Safeguard information. Back-up systems, on and offsite, disaster recovery plans. If you do all of the above, provide training on the implementation, you will have established a COE. The benefits are enormous and immediate. Using Databases to Work and Mine Data Most of us couldn't imagine functioning without word processing software and spreadsheet software in our businesses. We all use e-mail and a lot of us can use presentation software, some more rudimentary than others. Yet, for some reason, the database software frequently goes unused in the small business. If you use Microsoft, you could pick up here. Digitize, Digitize, Digitize Maintaining our information in electronic form is critical to both the establishment of a COE and mining our data on an ongoing basis. Virtually all software applications allow for exporting data and importing data. So as long as you maintain your data electronically, you can take advantage of new software development in your industry without having to re-enter the information. Electronic files are easier to navigate and cheaper to maintain. Additional computers and memory are just less expensive than rent, file cabinets, and storage facilities. Are you taking advantage of the latest technologies to codify the intellectual capital of your business? If you arrived at your office, and all your information OR all your money was gone, what would be more devastating to you? What are you doing to protect your data? So these are all set. We do one for each level, OK. Both the lighting control and all the mechanical systems. Hierarchically a project manager has to be the funnel through which everything flows. The only thing I can tell you, from experience, otherwise you just have a breakdown of communication and construction ultimately is nothing but good or bad communication. Projects fail because people didn't communicate. Projects succeed because they did and they worked well together. HATTIE: (Voiceover) Creating digital workflow at EM Rose, Eric has made complex communication tasks more manageable. 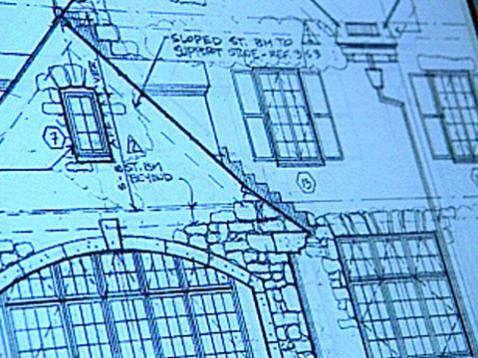 Digitizing all data starting with the architect's plans, means more detail is available to more team members.